Last night Christine and I were searching around the Web for high heels stuff like pictures and articles that we can use on our site and Christine did a closed search for "addicted to heels". We were sort of amazed to get almost 11,000 results to that exact wording. 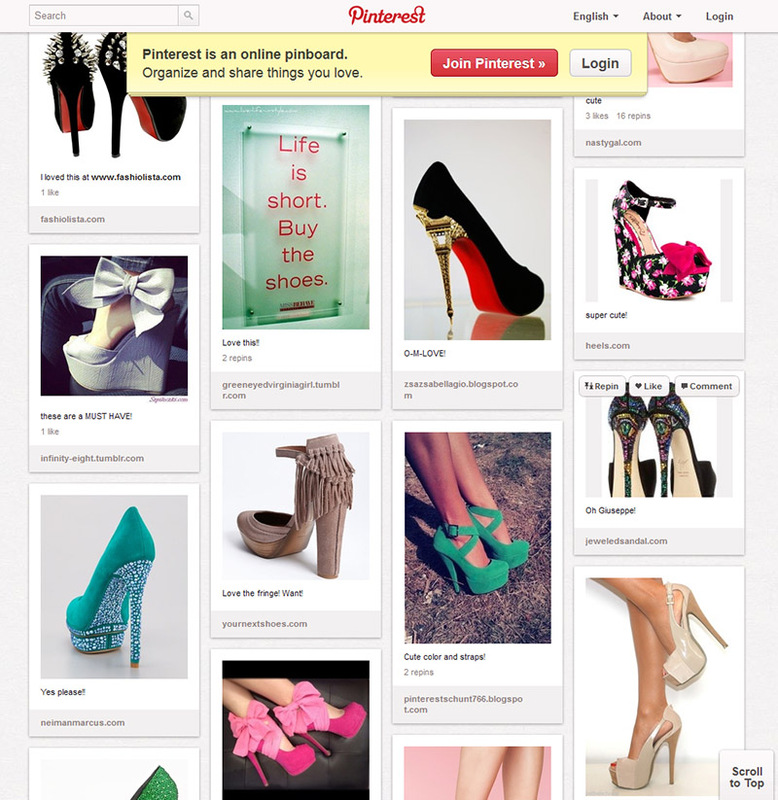 So even just searching on "addicted to heels" there are thousands of sites we can look at for stuff to put into our site. One of the links in the search was to Pinterest. Christine is thinking that one of the things she can post about is just some of the Pinterest sites. With all this stuff we are finding I am feeling a bit less worried about being able to find things that we can talk about.